Are you looking for a fresh start for your service station? Want to rebrand your forecourt so it stands out from the competition? Enhance Fuels can offer your site and business many benefits. Not the least is a Supply Agreement that recognises you as a valuable customer and provides reliable fuel deliveries and competitive pricing. Enhance Fuels is owned by Park Fuels, one of a handful of 100% Australian owned fuel importers, suppliers and distributers in Australia. 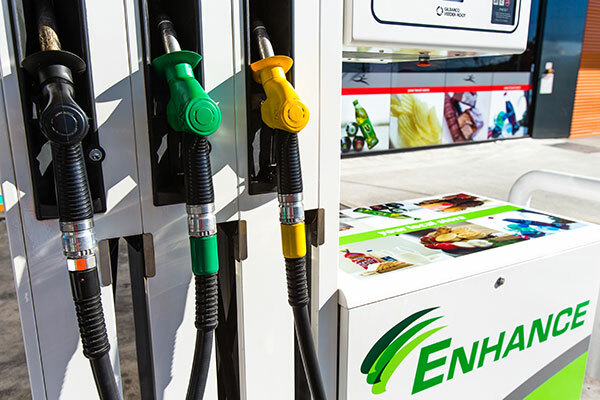 What are the Benefits of a Supply Agreement with Enhance Fuels? New signage - create a fresh new image. Recognised brand - customer confidence. Security of supply - no running out of fuel. Deliveries when required - always have fuel to sell. Backup service and support - always available to assist. Access to maintenance and repair - less downtime. Access to buying group - discounts when buying stock. Owned by Park - a solid company with many years experience in fuel sales and distribution. Park can supply all fuels including - E10, ULP, PULP, Diesel, Biodiesel, Premium Diesel, Adblue and Gas. It may makeover your site and erect signage in the distinctive ENHANCE FUELS image. Park will supply and deliver fuel as ordered by the customer. The customer agrees to only order fuel from Park. Park can provide access to the large New Sunrise convenience store buying group. It can provide advice and assistance on improving other aspects of your service station.